Gosnell is the Citizen Cane of our generation. Not that I think it was the best movie ever made (but then I don't think that of Citizen Cane either), nor just because one of the lead actors in the movie is Dean Cain. But that the forces of collectivism and certain powerful personalities tried to suppress it being made, and it told an important story about that suppression. As it stays truer to the facts, and is almost a reenactment documentary, it's even better than Citizen Cane. As the director (Nick Searcy) said, "There are three aspects to this story that are fascinating. What happened; why it was allowed to happen; and why no one wanted to talk about it after it happened." So no matter what side the Abortion issue you come down on, and whether you support Roe v. Wade or not (I'm pro-choice myself), this was a fascinating story on how much the "abortion at any cost" crowd allowed, in the name of their agenda. Since I value truth more than a political agenda, I found it very worthwhile, I suspect many that put their agenda above bad behavior will hate the movie. The media not only actively suppressed news about Gosnell the Abortionist who murders hundreds of viable babies and ran the world's most disgusting abortion clinic for 30 years without inspections, violate drug laws, medical rules, health code, and anti-racist laws, all while suppressing complaints. But similar forces tried to suppress the story of what happened from getting told as well. 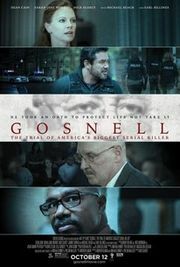 The film was announced in 2014, a year after Gosnell was tried and sentenced to life in prison without the possibility of parole -- but no studio/producers would back it, despite true crime, and something so sensational being a prime movie target. So they turned to crowdfunding -- which shouldn't have been a problem. But Kickstarter censored the project from their website Turns out they have a political agenda, exploiting Chinese workers is on the right side of that, but the truth was on the wrong side of it. Nick Searcy (director) came on board and said, "I am both excited and humbled by the opportunity to have a part in bringing this important American story to the screen. It is a story that many in Hollywood were unwilling to tell, and I am grateful to Ann, Phelim and Magdalena for having the courage to tell it." Expounding later that he knew such a controversial project would cause him to be shunned by some in Hollywood, but he agreed to direct after reading the script. Filming was completed in October 2015, and release was expected in 2016... but a distribution deal was not secured until June 2018. Searcy wrote in an op-ed that difficulty finding a distributor was due to a lack of willingness to tell the truth in Hollywood. Nobody wanted to be labeled with the stigma of telling a true story that was politically incorrect -- so they had to go around Hollywood and secure direct distribution. A Washington Times article reported that the filmmakers anticipated a lack of interest from the "left-leaning media" and that they would instead utilize social media, word-of-mouth, and reaching out to non-media influencers to garner support for the film. Their words were prescient as the media and many places like Rotten Tomatoes kind of suppressed the announce of the movie -- despite it coming on the heals of Brett Kavanaugh confirmation, which should have made it complete click-bait. In the end it's a fascinating story the true story on the investigation and trial of Dr. Kermit Gosnell, an eccentric abortionist that had a 30 year killing spree that the political and media establishment tried to cover up. This isn't about 1st or 2nd trimester abortions, this is about a doctor that was routinely doing greater than 24 week terminations by birthing live squirming and sometimes crying babies and "snipping" their spines once born -- then there's the illegal drug distribution, practicing medicine without a license, the unclean conditions like re-using single-use medical instruments and spreading STD's among patients, Kermit's shocking eccentricities, the politicians and media's reluctance to cover the story. So many aspects that are jaw dropping in the way they rip off the façade of a fair and honest media, or anything resembling protecting the rights or health of women. While the movie watches like a typical Law and Order episode (more on the legal side than the investigation side), they painstakingly shot and took dialog from the trial transcripts and evidence. The movie is PG-13, so it is not shot in an overly gory or sensational way: you see the reaction of people to the photos without it being a horrific anti-abortion placard marching around outside a planned parenthood (you can see evidence shots at http://www.gosnellmovie.com if you're so inclined). During the closing credits they show the people involved, or the various crime scene photos that inspired scenes in the movie -- and they did an amazing job of staying as true to the truth as I've ever seen out of Hollywood, probably because Hollywood establishment wasn't involved. So even though it is in limited release, with virtually no promotional budget, it's one of the most important films of the year to see, no matter which side of the issue you're on.